The deadline for providing a title and brief abstract that the session is April 1, 2019. Please provide the names and affiliations of the organizer and the three speakers (the organizer can be one of them). Each session lasts 90 minutes and each talk should be 30 minutes long including Q&A. Contributed sessions can also consist of tutorials on the use of novel software. Decisions will be made by April 15, 2019. Please send your proposals to Christian Robert, co-chair of the scientific committee. 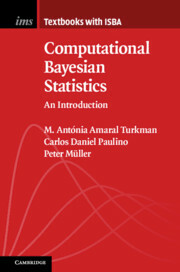 We look forward to seeing you at BayesComp 20! In case you do not feel like organising a whole session by yourself, contact the ISBA section you feel affinity with and suggest it helps building this session together! A recent arXival on nineteen different [and not necessarily dubious!] ways to approximate the marginal likelihood of a given topology of a philogeny tree that reminded me of our San Antonio survey with Jean-Michel Marin. This includes a version of the Laplace approximation called Laplus (! ), accounting for the fact that branch lengths on the tree are positive but may have a MAP at zero. 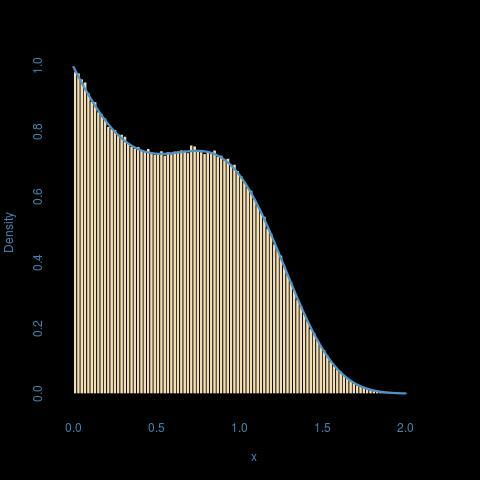 Using a Beta, Gamma, or log-Normal distribution instead of a Normal. 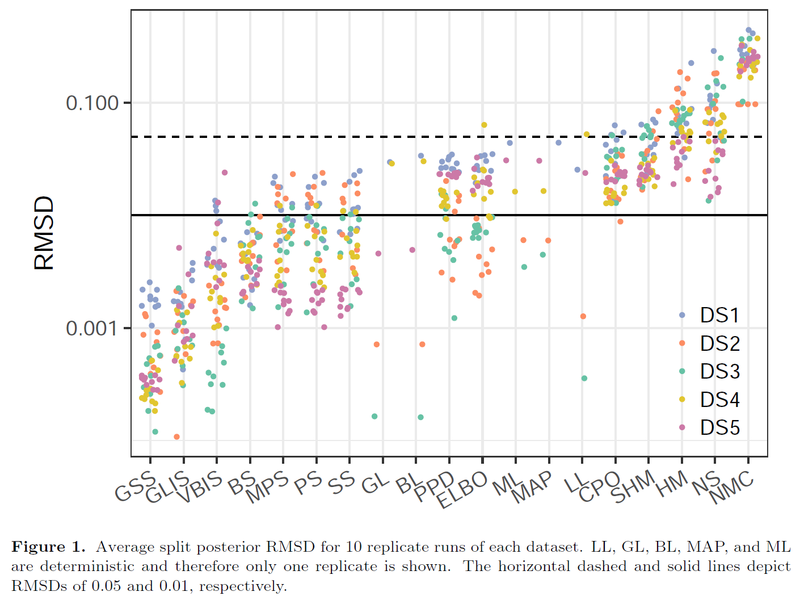 For importance sampling, the proposals are derived from either the Laplus (!) 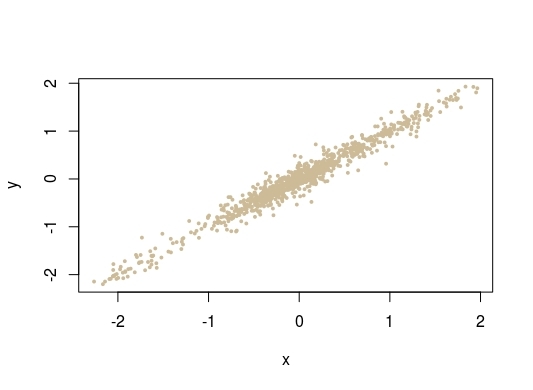 approximate distributions or from the variational Bayes solution (based on an Normal product). Harmonic means are still used here despite the obvious danger, along with a defensive version that mixes prior and posterior. 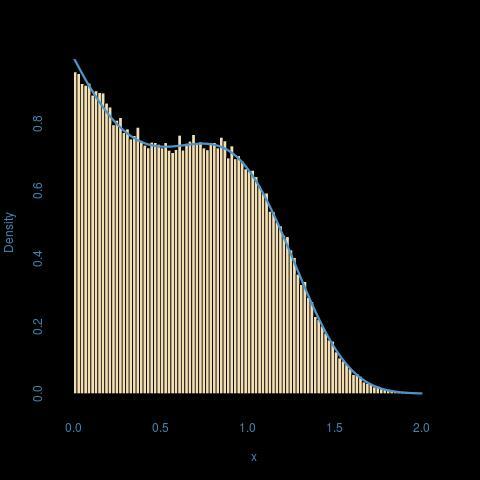 Naïve Monte Carlo means simulating from the prior, while bridge sampling seems to use samples from prior and posterior distributions. Path and modified path sampling versions are those proposed in 2008 by Nial Friel and Tony Pettitt (QUT). Stepping stone sampling appears like another version of path sampling, also based on a telescopic product of ratios of normalising constants, the generalised version relying on a normalising reference distribution that need be calibrated. 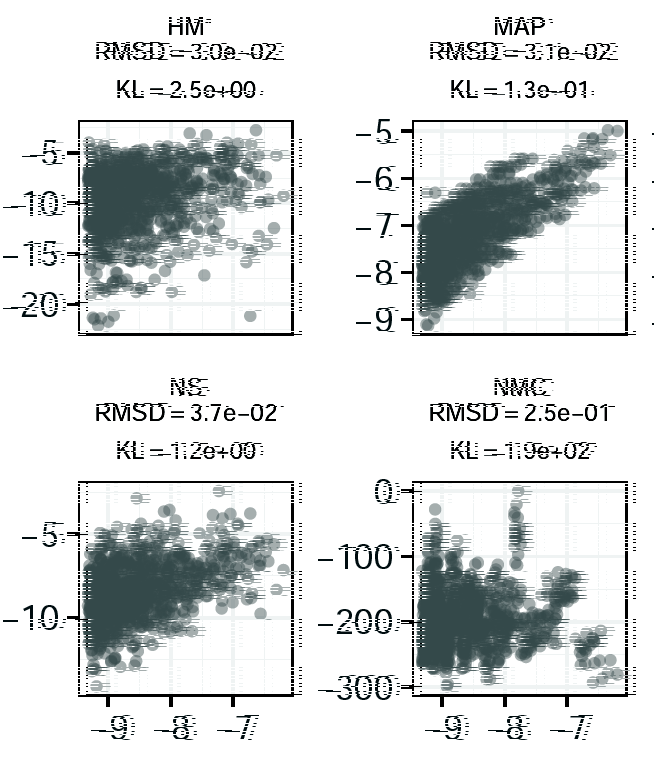 CPO and PPD in the above table are two versions based on posterior predictive density estimates.